Cary Marmis has been involved in business for more than forty years. Cary was previously the President and CEO of Empire West Companies. Under his leadership, they developed and built more than 12,500 apartment units in multiple Western states, in addition to shopping centers, restaurants, car washes, and luxury homes. Cary has served on several boards and non-profits including the Arizona Theater Company, Pima Air and Space Museum, DM 50 and the Jewish Federation of Southern Arizona. Cary received his B.S. from the University of Illinois and his M.S. plus 30 hours from the University of Michigan. His work was in physiology with an emphasis in exercise physiology. Following his university work, he was a fighter pilot in the United States Air Force for seven years. He continues flying today for Angel Flight West and Veterans Airlift Command. In addition, Cary and his dog Sam are a therapy team, visiting children at the juvenile detention center, libraries, pre-schools and hospitals. 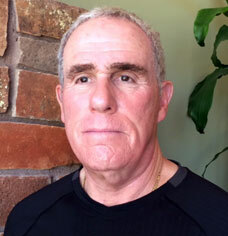 Cary remains very active physically, and in addition to his flying he is an avid golfer, hunter and cyclist.